Statistics released by the National Athletic Trainers' Association in March 2016 show improvement in the number of states that have adopted best practices in three major areas of sports safety, but that safety gaps persist. Emergency action plans: 28 percent of states meet the recommendation that every school or organization that sponsors athletics develop an EAP  for managing serious or potentially life-threatening injuries: a 6 percent improvement. Concussions: 44 percent of states require that a graduated return-to-play protocol  consisting of at least five steps with no more than two steps occurring on one day is implemented for athletes returning back to activity from a concussion: a 24 percent improvement. Heat acclimatization: 48 percent of states meet the recommendation that total practice time should not exceed three hours in any one day: a 20 percent improvement. And, 62 percent of states meet the recommendation that all schools have a heat modification policy : a 20 percent improvement. 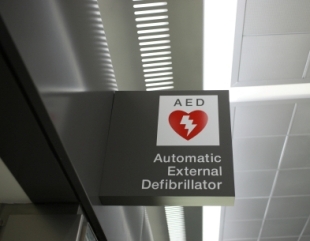 Only 50 percent of states meet the recommendation that all athletic trainers, coaches, administrators, school nurses and physical education teachers have access to an automated external defibrillator  (AED) on school property and at all school-sanctioned athletic events/activities. Only 12 percent of states meet the recommendation that every school has a written EAP that is distributed to all staff members. Only 15 states currently meet evidence-based minimum heat acclimatization best practices .